You may not have heard of National Clean Off Your Desk Day, but experts say the Jan. 14 holiday is one worth celebrating — especially if you’d like to boost your productivity. “When your space is filled up with things you haven’t organized, all of those things are constantly ‘yelling’ at you,” said David Allen, a veteran productivity expert and creator of “Getting Things Done,” a work-life management method. 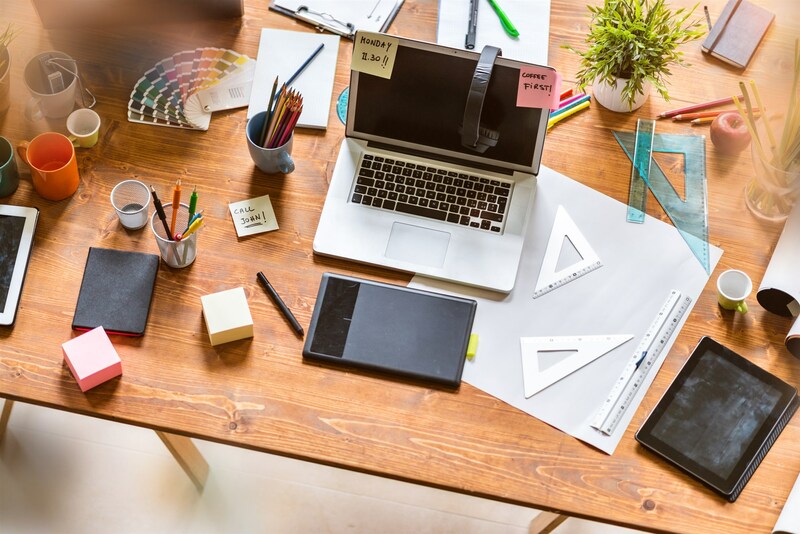 For some, the fix could merely be vowing on Clean Off Your Desk Day to take a few minutes every morning to de-clutter before you begin work. But if you’re completely overwhelmed, Allen recommends grabbing four cardboard boxes to help get you organized. Label the boxes “trash,” “keep as reference,” “read and review later” and “do something now.” Simply file items into the appropriate box. “That won’t fix everything, but it gives you a bit of sanity; it’s a place to start to work toward something more ideal for you,” Allen said. What might those ideal spaces look like? Zenker reviewed photos of five successful women’s desks to reveal what’s killing — and boosting — their productivity.